In 2018 we’ll see a general hardening of the market. Insurers face increased losses against a backdrop of increased global re-insurance cost. They therefore become less price sensitive and instead look to maximise premiums received from policyholders. 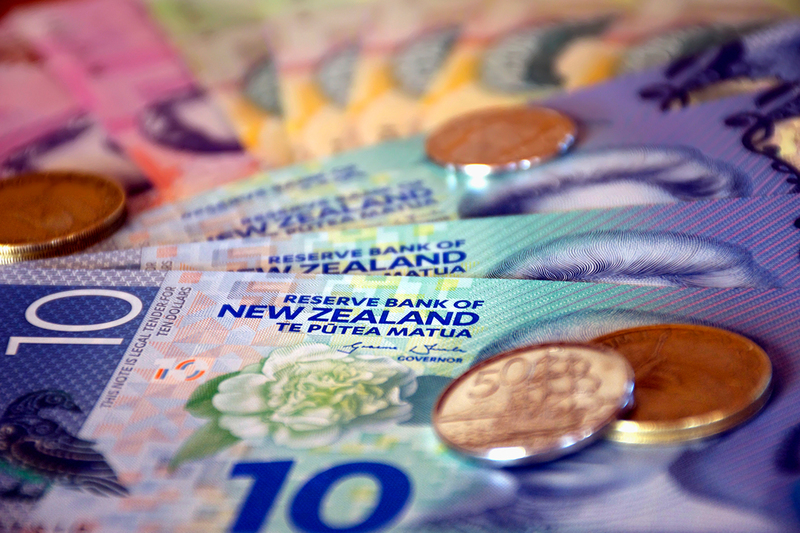 New Zealanders paid over $9.3b in premiums to the big insurers in 2017, a 7% increase year on year1. The climb in premiums isn’t going to end any time soon. One of the indirect influences driving premium increases is the levy spike. What most policyholders don’t realise is that 1/3 of their insurance premium is now in fact comprised of what is effectively a government tax - the fire service levy, the EQC levy and of course: GST. From 1 July 2018, the Fire Service Levy will increase 40% increase to $106. Likewise, the EQC levy grew 33% to $200 as of 1 November 2017. Insurers have zero control over these levies, but the resulting premium lift won’t go unnoticed by their policyholders in 2018. In NZ, Tower has announced the end to cross subsidisation of risk across the country and IAG and Vero have each signalled in their financial statements that they will be looking to end the current cross-subsidisation of premiums, instead placing the price of risk where the risk is actually located. It’s no surprise with our varied geography that NZ has a range of risk profiles. Auckland and the North have a lower risk profile. Yes, they have volcanoes, tsunami and coastal erosion risk but only at a 1 in 100,000 year event level. In Wellington however, insurers re-insure in the face of a 1 in 1,000 year earthquake event. Yet up until now, insurance premiums didn’t differ that much across NZ. Tower will be the first to change that and I’m sure the others will shortly follow. Take the example of a property in Petone: a suburb close to Wellington City. It sits within a coastline ribbon, upon silt, next to both a river and hills and on an actual fault line. All of which means a five-way risk profile involving liquefaction, tsunami, earthquake, flooding and landslide. The ‘technical price’ of such a policy should be in the region of $6,000. However policyholders are more likely to pay a ‘market price’ based premium of $1,500. The same as a policyholder in Auckland’s Ponsonby - whose property has a much reduced risk profile. Whilst Aucklander’s may want to rejoice in the prospect of reduced premiums, Wellington’s premiums almost certainly will climb, especially if you’re in one of those higher risk locations within the region (currently, most insurers treat the entire Wellington region as having a similar risk profile). The move away from cross-subsidisation could result in a change in how insurers approach risks. It’s not difficult to anticipate some areas of NZ becoming partly or completely uninsurable - or at least very, very expensive. Policyholders in those areas could face either a high premium, a high excess for a certain event (for example $10,000 for flooding vs. the standard $400) or possibly no cover for specific events. Despite being one of Welllington’s most prestigious and affluent suburbs, some homeowners in Eastbourne are already experiencing a difficulty in securing new insurance: not surprising given some properties face a very real risk of crumbling into the sea at some point. Australia has already moved to a much more granular price model. In some areas, flood cover is simply unavailable because of regular flooding. It may take a few years for the full effect of the cross-subsidisation change to be evident across NZ, but considering the top 3 insurers have warned of its imminence, it’s likely that insurance will transform from being an after-thought when purchasing property, to becoming a key driver in purchasing decisions, along with valuations and LIM reports. Insurance price could indeed become a deciding factor if the property has very high location specific risk. Take a four bedroom house in Wellington’s Roseneath with incredible harbour and city views, possible only because the house is actually hanging onto a cliff, with a cantilevered carport above it. The carport may have local council safety certification, but the actual cost of insurance for that scenario could be significantly more than a much more expensive home located in a different suburb - say Thorndon – as insurers begin to take a 360 degree view of risk. In addition, Banks are taking a closer interest in insurance. After all, insurance is renewed annually, whereas the banks can have a contractual relationship that will last for decades. Mortgage holders have an obligation to adequately insure their properties. If insurance becomes too expensive or hard to get in some areas, I can foresee an increasing risk of under or non-insurance, neither of which is great news for banks and their customers. Keeping track of adequate insurance using a tool such as Cordell Sum Sure integrated into the purchase process becomes even more important. But the end of cross subsidisation is a defining moment for insurance in New Zealand. Those who have bemoaned rising premiums are about to get hit again, especially if they live in the Capital. Maybe living north of the Bombay Hills isn’t as bad as it previously seemed. 1 http://www.nzherald.co.nz/personal-finance/news/article.cfm?c_id=12&objectid=12004049. Figures mentioned in this article do include all types of insurance (including life and health), exclude ACC and EQC and are collected from 28 of the 88 licensed insurers in New Zealand – accounting for nearly 90% of the assets and premiums.